Canadian Privacy Law Blog: Have you sene this bunny? This was on the phone pole at the bottom of my driveway this afternoon. 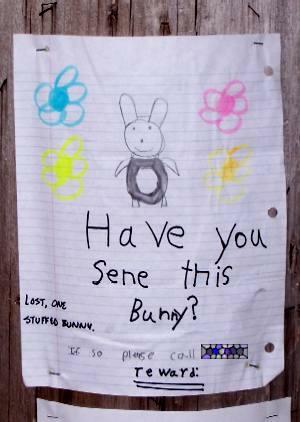 So if you happen to be in Halifax and you sene this bunny, give me a call. I am sure that'll make a little kid in my neighbourhood very happy.